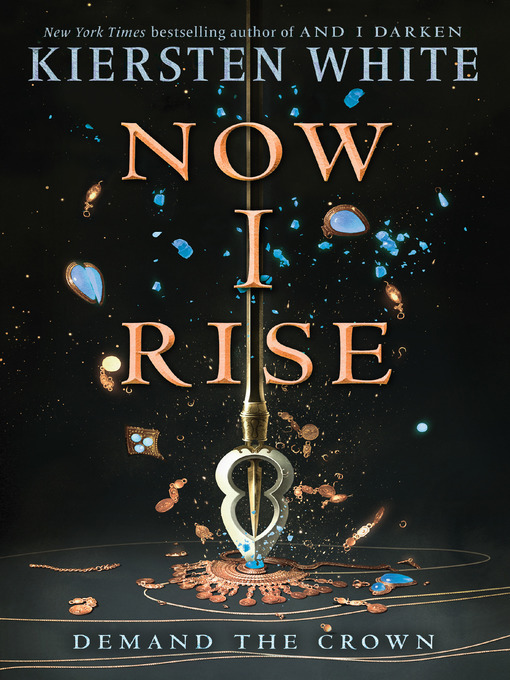 The highly anticipated, mind-blowing New York Times bestselling sequel to Kiersten White's New York Times bestseller, AND I DARKEN—the series that reads like HBO's Game of Thrones . . . if it were set in the Ottoman Empire. Lada Dracul has no allies. No crown. All she has is what she's always had: herself. After failing to secure the Wallachian throne, Lada is out to punish anyone who dares cross her. She storms the countryside with her men, but brute force isn't getting Lada what she wants. And thinking of Mehmed, the defiant Ottoman sultan, brings little comfort to her thorny heart. There's no time to wonder whether he still thinks about her, even loves her. She left him before he could leave her. Lada needs the support of her diplomatic younger brother, Radu. But Mehmed has sent him to Constantinople—and it's no diplomatic mission. Mehmed wants control of the city, and Radu has earned an unwanted place as a double-crossing spy behind enemy lines. And for the first time in his life, when Lada asks him for help, he refuses . . . leading his sister to make the darkest of choices. Fans of Victoria Aveyard's THE RED QUEEN and Sabaa Tahir's A TORCH AGAINST THE NIGHT won't want to miss this riveting and gorgeously written novel—the second in the And I Darken series.